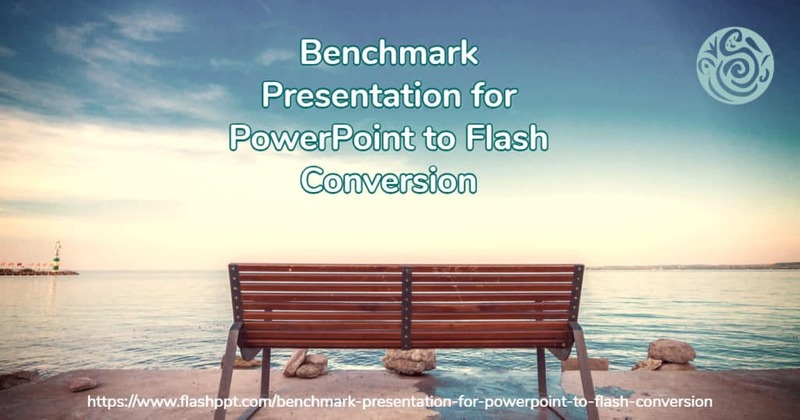 There are scores of PowerPoint to Flash converters out there, and they all do some things right, and they all have their problem areas. In such a scenario, it’s difficult to rank them all. So I decided on a points system, and created a benchmark presentation. This benchmark presentation has 24 slides, and I provide 5 points for each slide for a total of 120 points. This gets me the score for the product — anything up to 200 points. Then I convert this score to percentage points. Watch out soon to see how the different converter products score. And the benchmark presentation is not available as a free download now, although you can request access through the feedback form.